A few weeks back, we attended our first Sikh Parade of the season. Like every year, we love making the trip downtown to join our sangat and spend a beautiful spring day outside celebrating Vaisakhi. Amongst the sea of kesri dastaars and chunnis, there was keertan, gatka, and jakaaray filling the streets. As we began marching down the main avenue, I started to notice the passerby’s reaction to us. Some were irritated they had to wait for us to cross the street, some took out their camera phones to take pictures of us, but the vast majority looked, well…confused. None of our floats and few of our signs would make any sense to a non-Sikh. The overlapping keertan, jakaaray, and political slogans were obviously all in Punjabi. And there was little to no interaction between us and the onlookers. I wondered, why did we come here to do this? If our purpose was to have a nagar keertan and to celebrate Vaisakhi in our own traditional way, then why waste the time and money to do it out here? Why not just do this on our own Gurdwara premises? But if our purpose was to educate the greater community on who Sikhs are, then what exactly were we doing to accomplish that? Sure, many people were taking pictures of us, but was it because of the spectacle we created? Or because people were so happy to see the Sikhs that they’ve heard so much about – followers of Guru Nanak, brave soldiers, and defenders of the downtrodden? Which do you think? If we were so interested in educating others about us, perhaps we could have delegated volunteers to walk through the sidewalks handing out information cards (no bigger than an index card), explaining who we are and what we’re celebrating…or at least hand out free water bottles with labels reading “Happy Vaisakhi from the Sikh Community” and maybe they’d be encouraged to learn more about us later. Given the recent news regarding Sikhs in the US and Canada, we could really use all the positive PR we can get. And since we’re already here marching through a major metropolitan society, why not take advantage of it? As the parade went on, I started to grow more frustrated. I kept thinking, Sikhs have been in the US for over 100 years, is this really the best we can do? Toward the end of the parade, as we all congregated at the park to listen to shabad keertan and speeches, a young couple riding bikes passed through. Since it is common for festivals to occur during this time of year in the city, the couple decided to stop and check out what was going on. They parked their bikes and sat right behind us to take in the sights and sounds. After observing the crowd, interacting with our kids for a bit, and seeing folks come back from the langar tent with plates full of hot food, the woman got up and said to the man, “Looks like there’s food over there, I’m going to get something to eat.” The man replied, “Do you have any money on you?” My wife then kindly interrupted and said “You won’t need it, it’s our free community kitchen…it’s called langar.” The woman smiled and said “Well that’s nice” and made her way to the langar tent. Somewhere in all my cynicism, I lost sight of why we were there. We were there that day to celebrate the Guru and his gifts. And in all of Guru Sahib’s brilliance, his gift of langar is still finding ways to bring people of all races, religions, cultures, socio-economic groups, and beliefs together to share a common meal. I looked around…I saw how efficiently the sevadaars were managing the langar line. For a moment, I thought about all the men and women who woke up early that morning to make food for hundreds of people. I noticed all the humble volunteers who swiftly filled everyone’s plate with a smile on their face. Then I saw all the sevadaars who were quickly picking up the trash and recyclables and disposing of them properly, leaving the park spotless! If I looked close enough – there was love, service, and humility all around us – and if this is what passersby learn about Sikhs, then all is not lost. In fact, this is the essence of who we are…and no pamphlet is going to show you that. There is a lesson to be learned here…even outside of just our parades. So often we try to find creative ways to explain to non-Sikhs exactly who Guru Nanak’s Sikhs are, when sometimes, all we need to do…is show them the Guru Nanak in us. You feel the separation from the Beloved. Invite Him to fill you up, embrace the fire. The harsh east coast winter is now a distant memory, flowers are blossoming all around, and the warmth of the sunlight on my face is revitalizing. My community is rejuvenated as well. 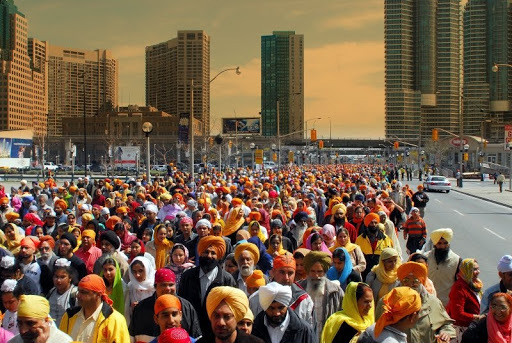 Our gurdwara is busily preparing for Vaisakhi celebrations – nagar kirtans, gatka demonstrations, and special kirtan programs are all in the works. It is always inspiring to see members of my sangat prepare for this special day. Seeing all of this reminds me of my own experience. Although I grew up with many Sikh friends, none of them were amritdhari, so learning about the discipline and lifestyle of an amrithdhari at camps was fascinating to me. I used to think how cool it would be to join the Order of the Khalsa…the Guru’s army! At the same time, the whole process and experience was a bit of a mystery to me. So when I reached adolescence and started going to camps with amritdhari counselors and attending retreats with amritdhari Sikhs my age from all over the world, I was overwhelmed. I couldn’t wait until the classes and lectures were over, just so I could sit and talk with folks and learn about their experiences. I tried to absorb as much as I could. I would ask all kinds of questions…What inspired you to take amrit? What was it like? How did you prepare? When did you know you were ready? Has it been difficult to maintain your rehat? Have you ever had second thoughts about your decision? The answers I got varied…which shows how unique everybody’s individual experience is. There were some who took this step because they had a deep connection with the shabad, others were encouraged by their friends and had been “practicing” for years. Then there some whose family members were all amritdhari, so it was just “expected”…they really didn’t know any other way. Then there were others who simply had a “revelation” and walked into the amrit sanchar clean-shaven and have kept their rehat ever since. Some might argue that there are right or wrong reasons to take this step…personally, I do not. I mean, no matter what your circumstances are, if your answer is to bring the Guru in to your life…does it really matter how you got there? During that inquisitive time in my life, I learned so much. I surrounded myself with such inspiring people and stories, I took advantage of every opportunity I could and tried so hard to learn, connect, reflect and experience. For the first time in my life, I felt as though I was a “seeker.” During this time, it became harder and harder to sit in a divaan and listen to kirtan. Just about every time I heard a shabad, it brought me to tears, it was like Guru Sahib was speaking directly to me…asking me, that if I love him so much…why do I not commit to him? It was a combination of these dialogues, experiences with my sangat, and personal reflection that led me to finally formalize my commitment and receive the Guru’s amrit. I couldn’t imagine such a thing happening, I felt as though I was on top of the world…but sure enough, I did. After a while, I found my paatth becoming more of a ritual…something I had to squeeze into my busy schedule rather than something I enjoyed and focused on. Sometimes I would close my gutka and not even remember if I had finished the baani or not. My amrit vela discipline slowly faded away and, after time, I struggled just to meet the “bare minimum” the rehat had asked of me. For whatever reason, I didn’t feel that same “thirst” as I did prior to receiving amrit. I was purely focused on keeping my rehat and not on connecting with Waheguru. Perhaps I set my expectations too high of what life as an amritdhari would be like, maybe I was not as ready as I thought I was…or maybe I just wasn’t trying hard enough. Perhaps there was a part of me that grew complacent being an amritdhari, as though I had “accomplished” something…and there was no need to “seek” any further. Many years have passed, and although I still haven’t matched the inspiration and strength I felt in those “inquisitive years”, there have, however, been moments of absolute beauty. Every so often, as I race through my daily nitnem, I’ll connect with a line that touches my soul. At random kirtans, I’ll hear a shabad I have translated and studied before, and I will completely lose myself in it. At times, I will listen to a child recite the Mool Mantar or sing a shabad, and I’ll feel the presence of the Sahibzadey around me…my eyes will well up in tears. These experiences may be short…but I thank Waheguru for them. I pray that these “beautiful moments” will happen more frequently and string together for longer periods of time. I now realize that receiving the Guru’s amrit is not a “graduation” or really an accomplishment of any kind … It is only a beginning. It’s when a Sikh stands before the Guru and declares, “I am yours…” and the Guru lovingly replies, “…and you are mine”, and everything else begins from there. In my effort to rekindle my spirit, I have again begun asking questions. Last April, I was chatting with a college student several years younger than me who had just received amrit a few weeks earlier. I was particularly intrigued by him as he had recently started keeping his kesh too. When I asked what inspired him to take this step, he looked at me and paused for a moment. I waited eagerly to hear his story and his experience, but instead he gave me a simple answer I will never forget. For a moment, I began to think of all the soldiers who came before him. I thought about the fearlessness of Banda Singh Bahadar in the conquest of Sirhind, I thought about the bravery of Mai Bhago in the battle of Mukatsar, I thought about the courage of Baba Deep Singh in his battles with Ahmed Shah Abdali. I thought about all the countless warriors and warrior-poets who came to follow…all of whom knelt before the Guru and received his embrace. I’m so far from all these personalities. There is so much to learn…there are so many questions. But one thing I do know for sure. This is where I belong too. A few years back, I went to my first Charni Lagna ceremony. Charni Lagna – literally, “at the feet of the Guru” is the traditional name of the event where a Sikh formally begins reading from the Guru Granth Sahib. Like most Sikh ceremonies, it is actually quite simple. After shabad kirtan is recited, an ardaas is offered for the young (or old) Sikh who is beginning their journey with the Guru – then finally, he or she will read the hukamnama. The ceremony I attended was for an 11-year old girl, who was very excited and worked hard to prepare for this day. After a few shabads were sung by the local jatha and the girl’s friends – one by one, members of the sangat came to say a few words of encouragement. One of her friends was around the same age and similarly went through this ceremony a year prior. She spoke about her own experience reading from the Guru Granth Sahib on a daily basis and how it has changed her life. Then one of her friends who had yet to take this step spoke of how she was inspired to do so soon. Then came her Punjabi school teacher, then her camp counselors, then other leaders of the community. I noted that neither her parents nor any of her relatives spoke – but instead, they just sat and listened to the members of the sangat, who individually shared such beautiful words of encouragement and praise for this young Kaur, who humbly sat at the feet of the Guru…It was quite powerful. Finally, as the ardaas ended, there was a rare moment of pin-drop silence in the darbar hall. Then this brave 11 year old girl, surrounded by her proud parents and grandparents, read the hukamnama flawlessly…I was moved by the whole event. As she began to turn the pages of the Guru Granth Sahib to the beginning, initiating her first sehaj paath, she began reciting the Mool Mantr aloud. Each time she repeated it, more and more people joined along. By the seventh or eighth repetition, just about every person in the hall was reciting along with her in unison. It was as though the entire sangat was offering a collective ardaas for this young girl, wishing her well on her journey and praying that she will always keep the Guru close to her. Although this moment may have just been a short-lived gesture, to me, it was symbolic of something greater. It made me wonder what life was like in the prototypical society Guru Nanak Patshah had created at Kartarpur Sahib. I wondered what role the community played to support and guide the children. I’ve heard the stories of how everyone contributed to the langar, surpluses were shared among all, and everyone did seva for the community to create a socio-economic balance. But I have to believe that such an idealistic society did not leave parenting simply up to the parents. Instead, perhaps members of the community contributed to the upbringing of its children, and worked collectively to guide them on the right path. I wonder if it applies today…when it comes to our communities children, what is the role of the collective? When a child loses his or her way on the path of Sikhi, we are quick to blame and criticize the parents – but I wonder, is this what Guru Sahib expected of his Sikhs? Is this what he expected of his Gur-sangats? What is our responsibility in all of this? 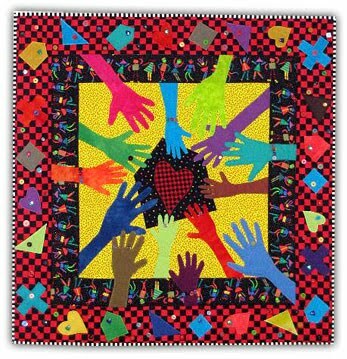 In the mid-90’s Hillary Rodham Clinton described her vision for the children in America, in her book titled “It Takes a Village.” It spoke to the impact that individuals and groups outside the family have, for better or worse, on a child’s well-being. The saying “it takes a village” actually originated from the Nigerian Igbo culture’s proverb “Ora na azu nwa” which means it takes the community/village to raise a child. The Igbo’s also name their children “Nwa ora” which means child of the community. So what does this mean to us? Is it enough to spend a week at gurmat camp just to hang out with our friends and call ourselves “counselors”? Or can we make an honest attempt to leave a positive impression on a young child at camp? Could this summer be an opportunity to organize a gurbani veechar, “Big Khalsa Little Khalsa” event, seva project, basketball camp, or just a social trip to the movies or bowling with the local kids from the Gurdwara? Taking a step further, what about attending a kirtan or speech competition, just for the sole purpose of congratulating the 3rd and 4th place kids and those who didn’t place at all. What about simple gestures like reaching out to that struggling teenager whose “on the fence” about their Sikhi, or offering congratulations and encouragement to the young boy or girl who just started wearing a dastaar, or completed charni lagna, or received amrit? Sikh Youth (and all youth for that matter) have so many influences…from more media sources than ever. Why not take an active role to be a positive one? If not us, than who will?